Home of the Ukebox Pub Nights. Group Lessons, Private Lessons, Challenges, Songs, Tabs, Online Ressources… all to help you learn to play the uke. 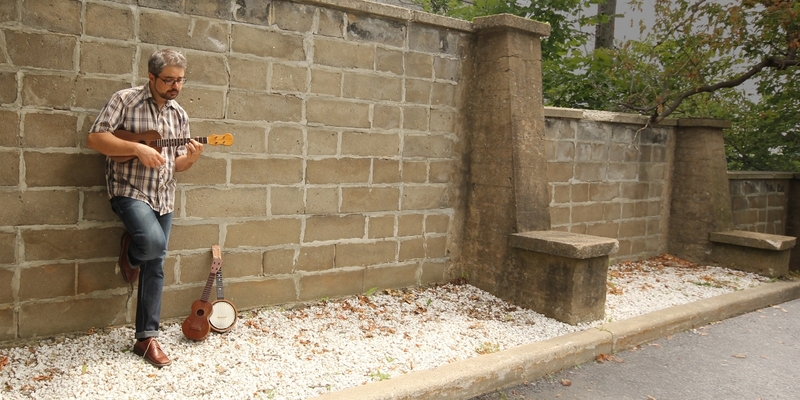 Ukebox is about learning and enjoying the art of creating music through the humble ukulele. It is your destination to learn the uke in the Ottawa area and to connect with others doing the same. There’s a great community who’d like to play music with you too. Group classes to get you you started and to keep you improving, while the daytime ensemble and song circle offer different avenues to explore musically. And there is no better way to get acquainted with the Ottawa uke community then through our bi-monthly jams at the Clocktower Brew Pub. Have a something particular you’d like to work? Private lessons are also available to work on more specific musical projects and goals. Receive the songs, setlists, strum patterns a few days before each Ukebox Jam. You'll also be kept up to date on upcoming courses, workshops and challenges. I want to be able to accompany myself singing. My friend/family member goes to these jams and they have such a good time. I’d like to join them. I need to continually step out of my comfort zone and learn new skills. I’ve always wanted to learn an instrument but didn’t think I could. I saw the ukulele and thought: “Maybe I could do that”. I’d like to join in when my musician friends get together and play. I’ve heard that playing an instrument helps stimulate and enhance brain function as we get older. I want to play music to my young children / grandchildren. I visited Hawaii and took a lesson on the beach. I loved it and want to continue learning! I already play instruments but I need something small, versatile and portable as well. My school has a set of ukuleles. I want to bring them into my classroom to teach and need a few basics to get started. I need a complementary hobby to my main passion which is karate/cycling/knitting/lifting weights/inventing new technologies etc. I love the community jams! It is more challenging than I thought but I love the way it stretches me. It is easier than I thought and I love that I can just play something without it being a big deal. It’s a really versatile instrument capable of playing a wide variety of genres. I don’t feel stressed when I’m playing the uke. It’s amazing how time can stop when I get in the zone. Uke players are really a lot of fun. What a great community to be part of. Here is a French language TFO spot to introduce you to Joel Jacques. The magic of Joel Jacques is that he leaves no one behind, while also leaving no one waiting. He is a gifted teacher that seamlessly and enthusiastically can work a room full of ukulele players of all ages and abilities into making beautiful music. In his private classes he pays attention to what the student responds to and continually finds music that makes you want to play for the love of it, yet, he doesn’t let you get away with sloppy technique. Joel is a master at what he does and his hospitable and easy going personality allow his students to relax, learn and play for the sheer joy of music. I unequivocally recommend Joel Jacques as a fine teacher and musician to any student of any age. feel that you provided a very solid foundation that I can build on. Ukulele lessons with Joel have opened several windows for me. An extended group class two years ago got me started and able to play songs with family. I discovered that ukuleles are the perfect instrument to bring along on car drives, and my family is now singing a lot together at home and on the road. There is no end to the fun, familiar or new songs we can decide to add to our repertoire. Subsequent private lessons allowed me to improve my abilities and to focus on the songs and skills I particularly wanted to address. As an adult learner, I love the opportunity to pursue what I want to learn, when I want to learn it. Joel has been so responsive and helpful about everything I’ve asked to learn. I appreciate his knowledge, patience, and flexibility. Of course as an experienced musician and talented teacher, Joel also pushes me to learn styles and songs I could not have envisioned when I started. I love being shown and nudged into a new place that inspires me to spend time on intent practice and concentration. I enjoy having something this fun and absorbing as a complement to my work life. I think that clearly loving and working at music also provides a positive model for my young son, currently in piano lessons. Based on my positive experience, I often encourage others to take up ukulele, even if they think they’re too old or that they’re not ‘musical enough’. It’s an accessible (non-threatening) instrument but its impressive musical range – and the readily available help and social events – can add fun and a challenge to your life. Taking group and private lessons with Joel has been an enormous gift to myself. Sometimes I’m sorry I didn’t take up ukulele when I was young… but then I realize I wouldn’t have the current fun of discovering a whole new world now in my 40s. Thanks Joel for our performance yesterday. It really was a wonderful experience for all of us. I think it’s an excellent learning device regardless of the level of expertise. I’m so happy with how I’m able to play, considering I just started in the spring. You are such a positive enthusiastic teacher! I have watched Joel Jacques teach my 10-year-old daughter acoustic and electric guitar for five months. He is a marvel. 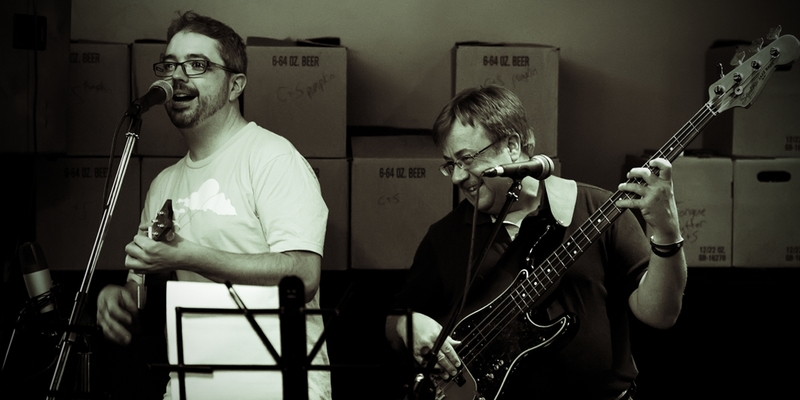 He both teaches a skill and provides context and perspective about the songs we have learned. My daughter has flat out improved her finger work on the guitar and learned the intricacies of chords. Joel listens to her, encourages her, pushes her and congratulates her. He is an excellent educator and musician. Can’t say enough about him.